CenterPoint Properties and the Kansas City Southern Railway Company have come together to develop a 1,340-acre intermodal logistics center in South Kansas City, Missouri. So, why is everyone so excited about this project? One of the largest benefits can be summed up into one word – jobs. In 2008, the facility was officially sold to CenterPoint Properties, a Chicago-based development company who specialized in redeveloping “brownfield” sites into industrial complexes centered around intermodal freight distribution. To make the site “shovel ready”, Phase I of the redevelopment plan included environmental cleanup, site grading and infrastructure/utility installations in preparation for up to 5 million square-feet of warehouse and distribution facilities. 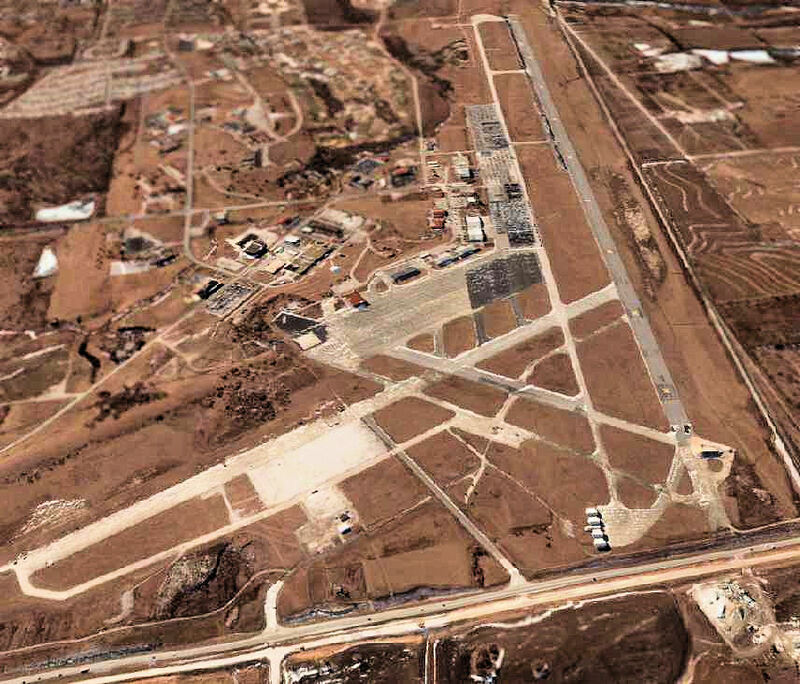 The airport proved to be an ideal site for rail-oriented operations since the runways, built to Air Force specifications, were an incredibly stable base to lay railroad tracks without additional modifications. The expanse of property also provided plenty of room for building new construction. 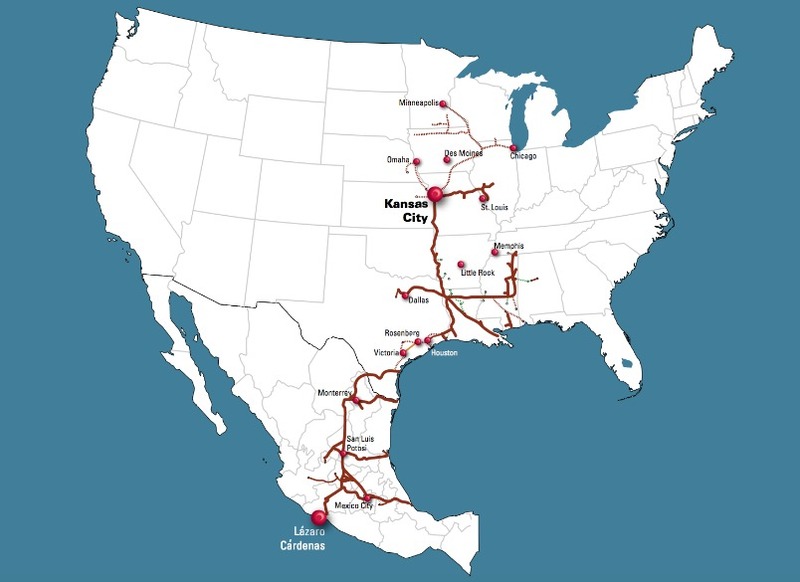 CenterPoint Properties and The Kansas City Southern Railway Company continue to develop the site into a state-of-the art facility that offers the fastest inland route to the heart of North America. The site is positioned to become a significant distribution hub for international trade, as import and domestic traffic volumes continue to grow from both Mexico and Canada. Kansas City is considered #1 in rail and #3 in trucking nationwide, which makes our city the perfect hub for distribution. Centerpoint’s central location and proximity to numerous east-west and north-south highways and interstates means tenants can ship goods to 80% of the U.S. population within two days by truck, which means nothing but opportunity for Kansas City! CenterPoint Properties recently broke ground on the 450, 000 square foot project on Wednesday June 3rd, 2015, during a small ceremony. Mayor Sly James gave a speech to the roughly 25 attendees on the opportunities he anticipates this project bringing to Kansas City. This groundbreaking event was a significant step towards the construction phase 1 of the redevelopment project. 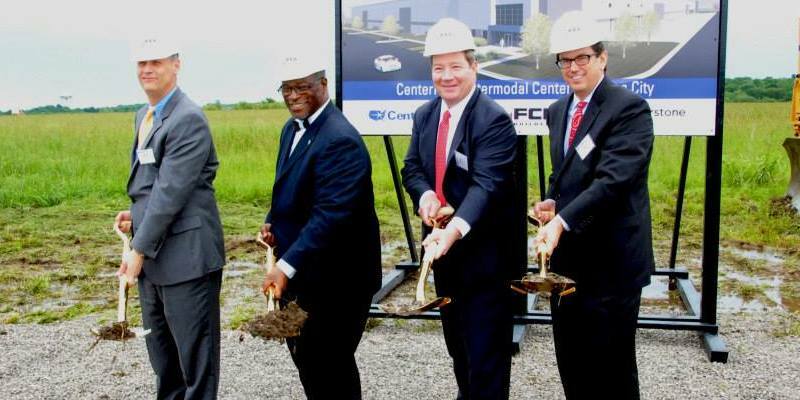 “In five years, I hope that phase one of CenterPoint Intermodal Center has been completely built out. It will have created new jobs and opportunities in Kanas City and I’m excited to see the city continue to thrive and grow,” said Melissa Roman, Vice President of Development at CenterPoint Properties.